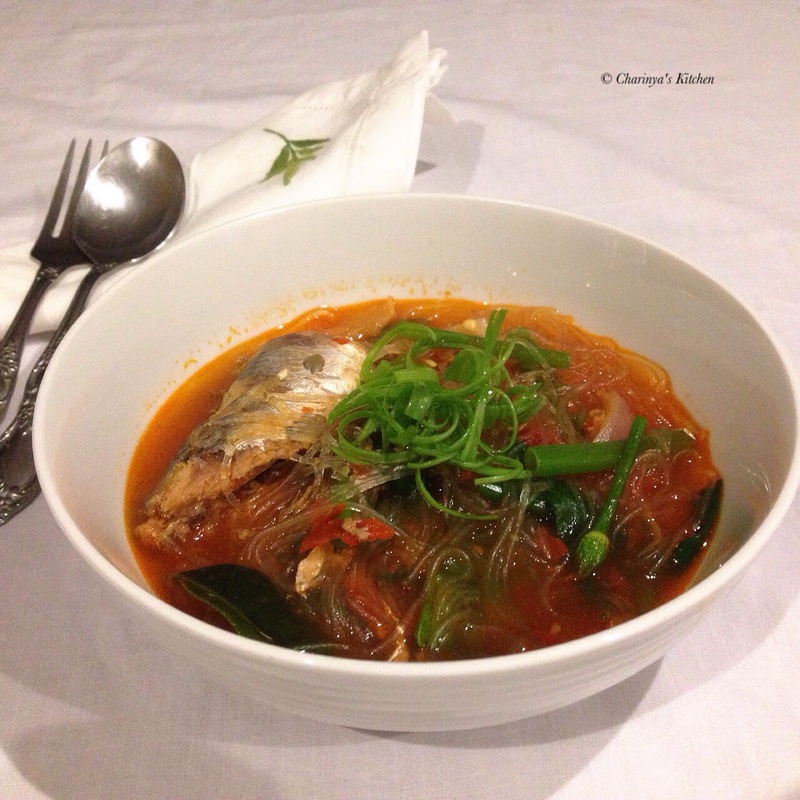 Thai Sour soup with vegetables and fried fish (Kaeng Som). The taste of the dish is led by the sour taste from the tamarind followed by saltiness and just a little bit of sweetness. This post shows you how to create the classic Thai dish of tom yum. In this dish you will find herbs such as lemongrass and kaffir lime ganlagal. There are two varieties of Tom yum, the creamy and the clear, with the clear version featured below. Spicy and oozing heat, this soup is the perfect winter warmer for those who live in cooler climates. This dish might look very normal but I would still like to share it with you. A can of sardines in tomato sauce is usually useful when you have other meat left over in your fridge. I always have it in the cupboard along with packets of vermicelli noodle.